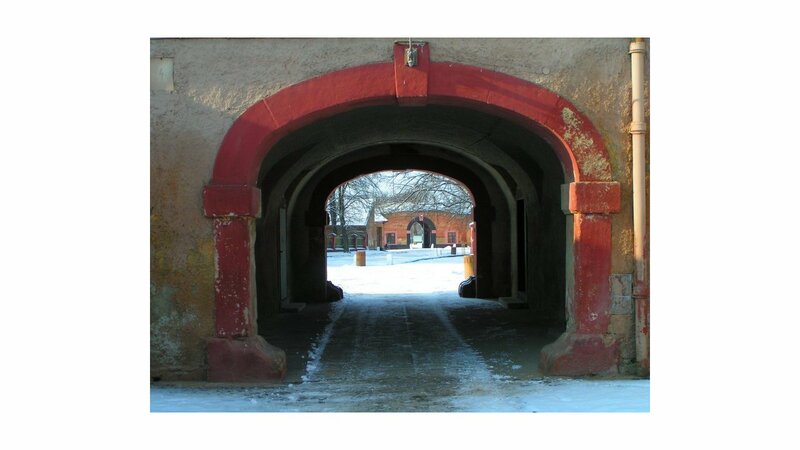 Terezín has a peculiar feel. The buildings (especially around the center) are devoid of signs, the streets quiet apart from the occasional tour group. You can stand at a street corner and look from along part of the lattice of streets and hardly see anyone. Perhaps it is the nature of small towns. Or maybe the shadow of city’s history is simply that long. Today, the battlements poke out around the outskirts of the city, topped with grass and showing the passage of the centuries. Perhaps if it weren’t for the city’s infamous role as a concentration camp and political prison, it would only be remembered as a relic of the long-gone empire. 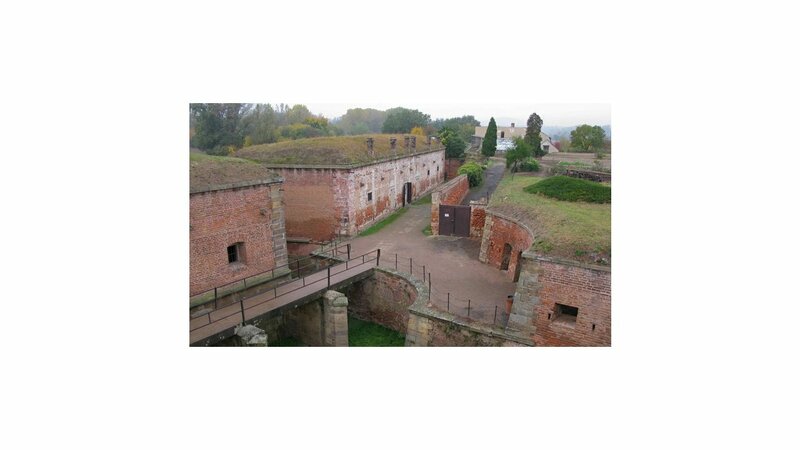 Terezín’s former function as a fortress made it an ideal prison. Before, it had kept people out. Now it would keep them in. The Nazis termed the city a ‘ghetto’ and tried to present it to the world as a model of ‘Jewish self-administration’. However, the conditions within the camp left no doubt that it was a concentration camp. In total, 139,667 people were sent there over three-and-a-half years; of these, 16,832 were alive at the end of the war. About half of the survivors were sent in October 1944. During the camp’s operation, 63 transports, starting in October 1942, carried prisoners to the concentration and extermination camps in Poland. Others succumbed to disease and violence, and were burned in the crematorium built by prison labor and located outside the city walls. Prisoners also had to contend with cramped conditions, disease, vermin, extreme cold, and cramped living quarters. 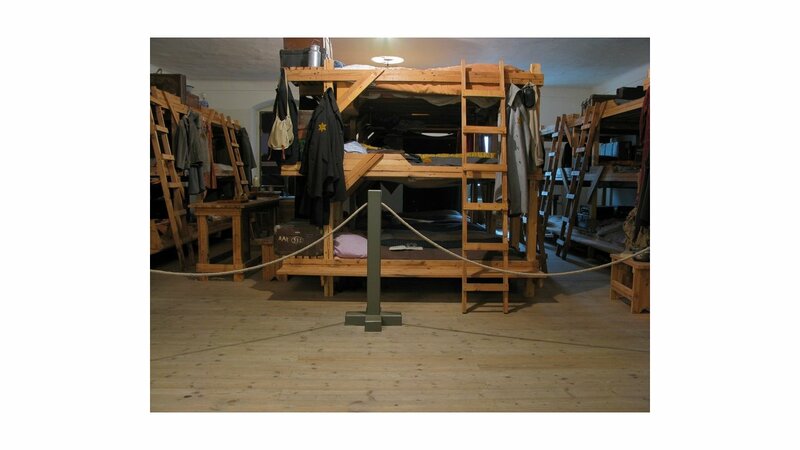 An exhibit at the Magdeburg Barracks shows how crowded the rooms were, crammed with replica triple-bunk beds, sleeping 68 people. When the camp’s population reached a peak of 58,000 in September, 1942, there could be 100 people per room. Food amounted to little more than bread, so people were forced to rummage for potato peels. In the cold, their fingers froze to the metal food bowls. 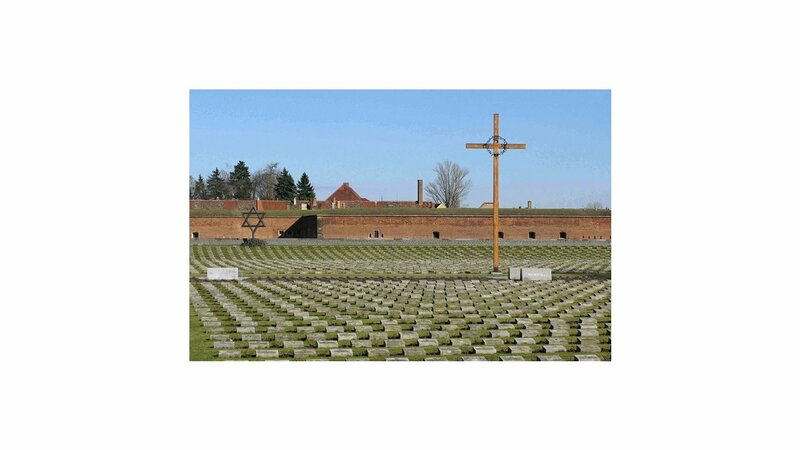 Amongst this horror, the people within Terezín tried to retain a cultural life, be it through religious observance or intellectual discussions. Some cultural activities were more formal, such as musical or theater performances. Magdeburg Barracks has exhibitions devoted to this somewhat surprising aspect of the camp. Composers such as Pavel Haas and Viktor Ullmann wrote music there, examples of which are collected on CD. Some concerts were held at the cafe (at the corner of the streets 5. října and Tyršova). Given the sheer number of people, visits by any individual were seldom. Performances were routinely interrupted as actors or musicians were sent on transports. Visual artists were equally active in recording both their surroundings and the emotional response. Examples of their work are on display at the Magdeburg Barracks. Of the pieces collected, it is the caricatures of Bedřich Fritta which best record the inner life of the prisoners. Sunken-eyed and drawn-out people huddle in nightmarish backdrops. A photo may be more accurate, but only a picture can be this expressive. On the other extreme, Peter Kein, who was also a talented writer, drew more naturalistic portraits and preserved the humanity and dignity of his subjects. Children also contributed to the cultural life within the prison. Sometimes, it was with their simple drawings or poems, on display at the Ghetto Museum and collected in the book I have not seen a butterfly. In many cases, these are all that remain of the children. Another dimension to the children’s cultural life is the magazine Vedem, which was secretly produced by teenage boys in the camp. The website has excerpts and scans of the original hand-made magazine. Sadly, many of the boys were deported to Auschwitz, where they were gassed. It is also possible to read examples of the magazine in the book We Are Children Just the Same. Unlike the other camps, the Nazis didn’t try to hide the existence of Terezín. In fact, from the very beginning, they tried to present it to the world as an example of an autonomous Jewish community. To this end, the International Committee of the Red Cross were allowed to visit the camp to inspect the Nazi claims. 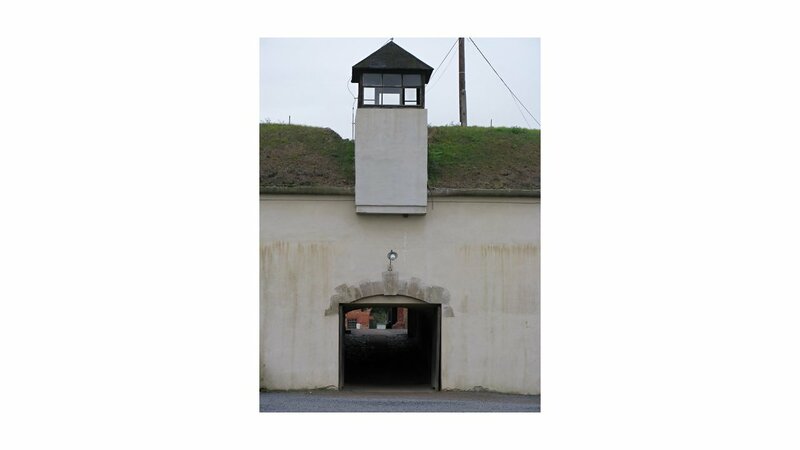 By this stage, the camp had been gentrified, and the committee members were not allowed to stray from a pre-planned path or speak with the prisoners. Across the river Ohře is the so-called Small Fortress. Formerly a prison during the time of the Austro-Hungarian Monarchy, the Gestapo kept political prisoners here during the war. 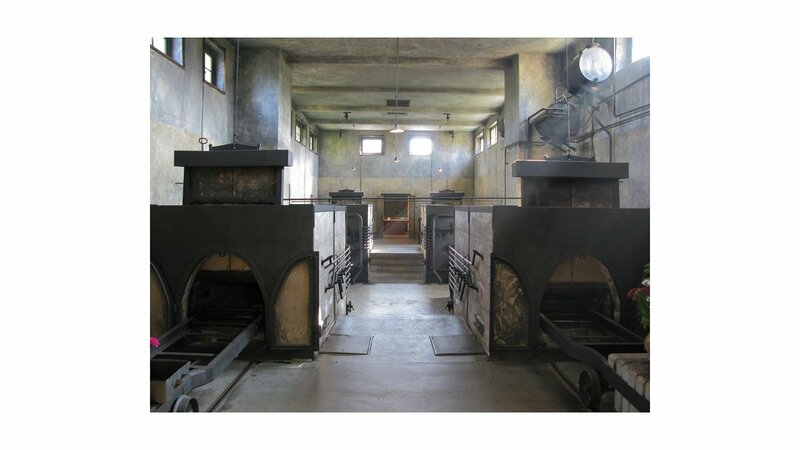 Conditions were equally decrepit and cramped as in the concentration camp. Prisoners slept on bare wooden bunks with as many as 100 per room. Typhus, scurvy and dysentery were rife along with a variety of parasites. Rations were sometimes kept at 500 calories a day, which is below starvation levels. Even more horrific was the treatment of Jewish prisoners. They were held in a white-walled room with a cement floor and a small single window. It served as a solitary confinement cell during the Austro-Hungarian Monarchy. Under the Gestapo command, more than 30 people could be squeezed in here, and the only fixture was the occasional bucket for the prisoners to use as a toilet. The cramped conditions, non-existent sanitation, and poor ventilation meant the cells were practically death traps. Many suffocated within its walls. To combat the biting insects, prisoners were expected to shower once a week, but even the Gestapo turned this into an exercise in degradation. Hot water was unreliable – if there was water at all. When they did shower, guards would turn off the water before the people could rinse themselves off, and afterward the still-wet prisoners had to change into wet clothes which had just been steam cleaned. The chemicals used to disinfect the clothes burnt the skin and in the deep winter, the damp uniforms would freeze. In stark contrast, the families of the guards had a swimming pool with its own water source. The pool cost the lives of 60 prisoners (mostly Jewish prisoners and students from Roudnice), and was located along the route to the execution spot. In the warmer months, while they bathed, the families of the guards would have heard the gunshots coming from over the wall only a few meters away. Few escape attempts are documented. Even fewer were successful. The one which is perhaps the most well-known is the escape of Miloš Ešner, Josef Mattas and František Maršík. The three men carefully planned every detail, ensuring they would have food and money for the outside and smuggling a ladder so they could get out of the moat once they’d dropped into it. The tale of their escape is vividly recounted in Útěk z Malé pevnosti Terezín (Escape from the Small Fortress Terezín). At the moment it’s not in English. In the afterword, Ešner’s son Antonín writes that the fates of the three men were different. Mattas managed to stay in hiding till the end of the war. Maršík, however, was caught. At this point the story gets controversial. Antonín Ešner states that Maršík led the Gestapo to Ešner, who was arrested, but managed to survive to the war’s end, albeit with a serious illness. Maršík claims that the Gestapo had been tracking Ešner all along. The end of the war did not mean immediate liberation or respite for the people in Terezín or the Small Fortress. A typhus epidemic ravaged the prisoners, and a two week quarantine of the city was ordered from May 14, 1945. War had ended, but for many freedom was yet to arrive. Sadly, 1500 former prisoners would not survive the disease. Direct buses leave from Prague’s Nádraží Holešovice bus station fairly regularly on weekdays. Return journeys are also frequent. On weekends and public holidays, buses are not so frequent. Check Idos for connections. There are different opening hours for the Small Fortress, Ghetto Museum, and Crematorium. And the times change depending on whether it’s summer or winter season, so check the opening hours. 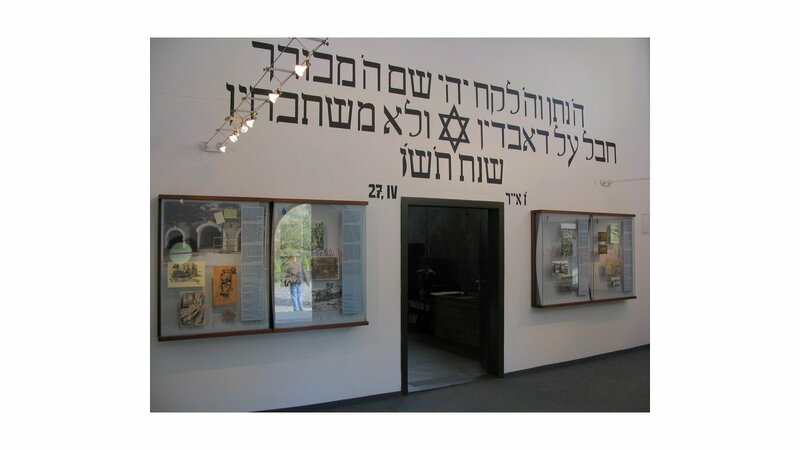 Admission in 170 CZK for an adult to either the Small Fortress or the Ghetto Museum and Magdeburg Barracks combined. For discounts and other rates, see here. Guided tours are available for groups of 10 or more, but should be booked in advance. Have You Heard of this Creepy Czech St. Nicholas Tradition?